Cats Protection’s online sponsor pens have received a Simon’s Cat style makeover as part of an ongoing partnership between the charity and the famous fictional feline. Having supported Cats Protection’s sponsorship programme since late last year by sharing pen updates to his followers, the illustrated internet sensation, created by Simon Tofield, is now making an appearance on all six online cat descriptions on the charity’s website. Simon’s Cat and Cats Protection are joining forces on the sponsorship scheme as they are keen to help create an increased awareness of the programme and of the cats in the charity’s care. “This is the next step in our relationship with Simon’s Cat and we’re incredibly grateful for the ongoing support,” explained Richard Howard, Cats Protection’s Corporate Partnerships Manager. 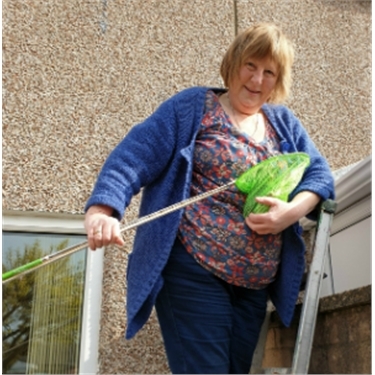 “Our sponsorship programme allows people to make regular payments to help unwanted cats and kittens, providing them with shelter, warmth, food, medical care and the love they need. It's easy to become a sponsor for as little as 19p a day and it makes a huge difference to the amount of cats we’re able to help. 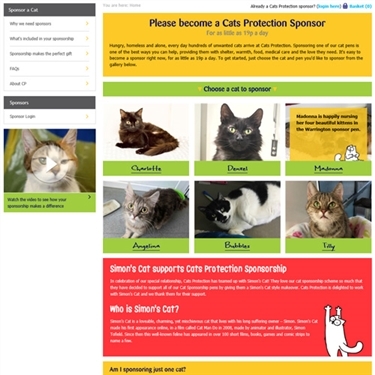 The sponsorship page features six cats currently in the charity’s care across the UK. Once each cat is homed, the next cat to enter the corresponding pen will take its place on the website and those sponsoring that pen will receive an update about the cat they are now helping. Simon’s Cat, who celebrated his 10th anniversary earlier this year, has been involved with Cats Protection since 2014, providing pin badge and Christmas card designs, collaborating on a series of ‘cat logic’ videos, donating items and sharing important cat welfare messages to his fans. For further information or an interview, please contact Cats Protection’s Media Office on 01825 741 911, at media.office@cats.org.uk, or @CPMediaTeam on Twitter. 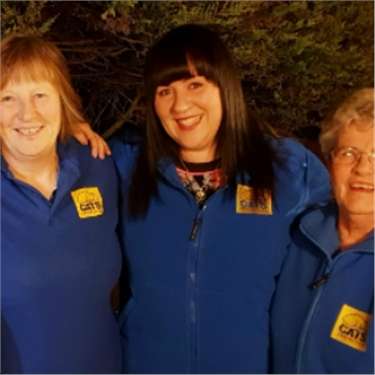 Cats Protection is the UK’s leading feline welfare charity and helps around 200,000 cats each year through a national network of over 250 volunteer-run branches and 34 centres. Cats Protection’s vision is a world where every cat is treated with kindness and an understanding of its needs. 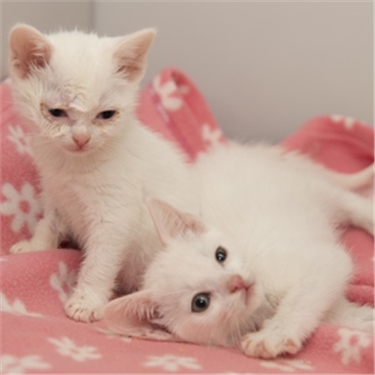 Cats Protection’s registered charity number is 203644 (England and Wales) and SC037711 (Scotland). Founded as the Cats Protection League in 1927, the charity adopted the name Cats Protection in 1998. We ask that you use the name Cats Protection when referring to the charity in all published material.